Serumtologie pure whipped chiffon daily facial moisturizer cream has recently been launched by the Serumtologie company after the wide success they had with their vitamin C serum. Serumtologie day cream for both men and women seems to be becoming equally successful and popular among users who love the way it makes their skin feel away from harmful ingredients. Finding an effective moisturizer which feels nice on the skin, moisturizes it adequately and has some anti aging effect is not the simplest thing one could expect since in a lot of cases we just can’t find everything our skin needs from a moisturizer. Still, this pure whipped cream appears to be passing the test in a number of skin issues we will see into further on in this review. Comes in a big 4 ounce jar. 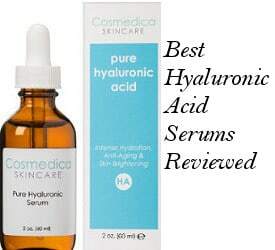 Contains Vitamins B5, C, E and Botanical Hyaluronic Acid. Easily absorbed “no shine” moisturizing cream. Free of Parabens, Sulfates, Phthalates, synthetic dyes or aromas, propylene glycol, SLS/SLES, GMO’s. The Serumtologie company are for the time being focusing all their efforts into producing two effective and good quality skin care products and it seems that they have achieved that if we take into consideration their popularity, great user reviews and combination of effective natural ingredients. According to the company, Serumtologie daily cream provides instant nourishment without any pore clogging ingredients. It helps the skin retain moisture and that results in improved resilience and elasticity. The combination of softening and emulsifying agents with active moisturizers do not imbalance the natural pH, making the skin smoother, more firm and toned, radiant and with an improved texture. 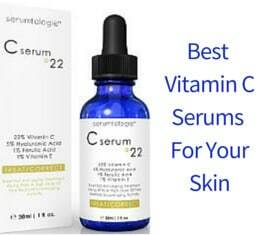 The company promises visible results in less than 60 days and recommends the use of Serumtologie Vitamin C serum for optimal benefits. Deionized Aqua (Water) with an infusion of Organic Asiatica (Gotu Kola), Wildcrafted Dandelion, Wildcrafted Geranium, Organic Aloe Barbadensis Leaf (Aloe), Sodium Ascorbyl Phosphate (Vitamin C), MSM, botanical hyaluronic acid, Witch Hazel, Carbomer, (2s)-2-Amino-5-guanidinopentanoic Acid (L-Arginine), Vitamin E, Kosher Vegetable Glycerin, Organic Jojoba Oil, Phenoxyethanol, Ethyl Hexyl Glycerin. Horsetail: Used to treat wounds, this ingredient can help to heal sun damage and dry skin. Gotu Kola: It is believed to heal stretch marks, reduce scars and provide some benefits for acne scarred skin. Dandelion: It provides many nutrients to the skin, resulting in both anti-aging benefits and the ability to treat acne. The addition of Olive oil, jojoba oil, aloe and shea butter will soften the skin and hold in moisture while Vitamins B5, C, E and the botanical hyaluronic acid will boost this formula with some anti aging effects. Fluffy, light and easily absorbed: People love the way it feels on their skin and how quickly and easily it absorbs. Diminishes Wrinkles: It helps to diminish wrinkles and deal with fine lines. These results were quite visible even with older ages. People who experienced anti aging benefits commented that those benefits appeared quite quickly and were not accompanied by any dryness. Softens Skin: Users report that it really softens their skin and does so quickly. 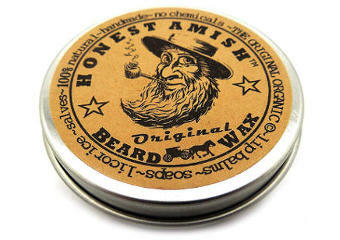 Many notice that the softening and smoothing effect comes after the very first use. keeps skin hydrated: Many people do feel that this cream does an excellent job of moisturizing. They use it in both summer under their sun block and winter to help with dryness. Works well under Make-up: Women feel that it works exceptionally well under make-up. It allows make-up to go on smooth while keeping their skin hydrated. Firms the Skin: By hydrating the skin well, this cream seems to provide also a feeling of firmness. Minimizes Pores: Diminished pores were also reported by people who were really glad to find a moisturizer that can both have both anti aging and pore minimizing results. Glowing Complexion: Some users felt that their complexion looked healthy and glowing after use. What Do Users Wish This cream Had? While few users commented that they would like this moisturizer to have sunscreen others were not really sure if this light formula can be so suitable for very dry skin. After reviewing Serumtologie Pure Whipped Chiffon Daily Facial Moisturizer Cream, I think that this is a good quality daily moisturizer which can have multiple positive effects on the appearance of your skin. The anti aging boost coming from the antioxidant vitamins as well as the botanical hyaluronic acid, the organic moisturizing ingredients and the light silky texture which feels great and not greasy on the skin, providing good hydration, make this moisturizer a very good daily cream for all types of skin. Users seem to have loved Serumtologie’s Vitamin C serum and now it seems that they are also very pleased with their moisturizer which is also followed by a full money back guarantee.